At Barnes’s Rest we have renovated our Victorian home which was built in 1890 in order to give you a relaxing carefree stay in the seaside town of Weymouth which is on the Jurassic Coast. We have made sure that your room is furnished with a comfortable bed and luxurious Egyptian Cotton bed linen. The modern en suite bathrooms have complimentary toiletries for you to use and afterwards you can wrap yourself in the fluffy towels and relax in your room in front of the Smart tv. The bedrooms each have a unique style. There is one on the first floor and three on the second floor. Each offers different views of the area surrounding Weymouth and they are all centrally heated and double glazed. We are happy to give you information about the local area if you want it and have a variety of leaflets and information for you to browse through. Guests are invited to take their breakfast in the ground floor dining room, and they are welcome to relax in the sheltered garden afterwards with the morning papers or a book. We are situated within walking distance of Weymouth which means that guests can leave their car behind if they wish. For those guests who arrive by train or bus we can arrange for a taxi to pick you up from the station or bus stop. If you are a cyclist we can store your bike securely for you, and windsurfers can lock their boards away and can hang wet / dry suits out to dry in the garden. During the low season we are happy to book in contractors or people who want Monday to Friday accommodation or the occasional night’s stay – just phone us and ask. You are welcome to check in from four o’clock in the afternoon, often we can manage an earlier check in time so that you can park and go off and explore the local area. We ask guests to vacate their room by ten o’clock in the morning. The price of your room includes your selection of a FREE breakfast of Fruit, Cereals, Juices, a Cooked Breakfast which is served to you , followed by your choice of Toast with Preserves, Coffee or Tea. We would ask that you tell us if you have any dietary requirements when you book your room. We are conveniently situated for guests who want to have an overnight stay before they depart on the Condor hi speed ferry from Poole , or for those who want to tour the Jurassic Coast or use the facilities at the National Sailing Academy at Portland. Our aim is make your stay as pleasant as possible in this beautiful town so please let us know if there is anything we can do to make your stay more memorable. 7 days or less we reserve the right take full payment for your room, credit card details must be supplied. Guests are advised to take out holiday insurance to cover their stay as we cannot issue refunds 7 days or less from the start of your holiday. 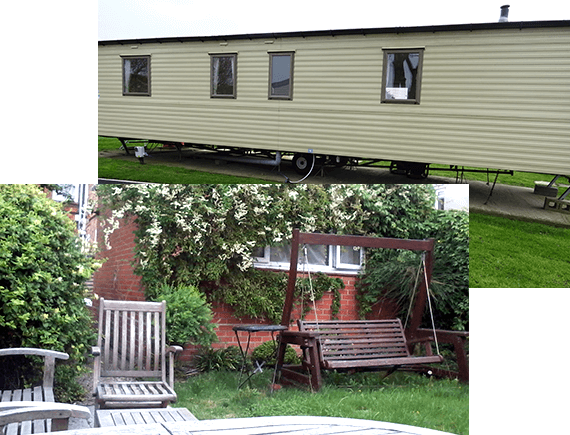 We also have a caravan sited at Pebble Bank Holiday Park which sleeps 6 – 8 people. This is ideal for those of you who prefer to be on a site near Chesil Beach, Portland, the Fleet or the Andrew Simson Sailing Academy at Portland and can be booked directly by contacting us. At Barnes’s Rest we have the additional feature of a self catering cottage for the traveller who wishes to cater for themselves. It consists of a double bedroom, a bathroom with bath and shower, a kitchen with fridge, gas oven, freezer and washer dryer plus a lounge/ diner. It is adjoining our bed and breakfast and you can use the garden as well as our other guests.